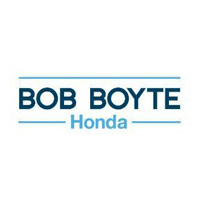 Bob Boyte Honda wants to help make your next vehicle purchase affordable. That’s why we offer regular finance counseling from our experts. Whether you have questions regarding loan eligibility, auto financing, APR rates, or lease payment options, we’re prepared to help. If you live in the Jackson, Meridian, or surrounding area and you’re looking for a way to save on a Honda, be sure to give our Finance Department a call. It’s easy to fill out our online credit application, and it’s free and secure. There’s no obligation after you apply, and we’ll work with you to find something to suit your budget needs. Bob Boyte Honda is located near Hattiesburg and Vicksburg at 2188 Highway 18, Brandon, MS 39042. We look forward to working with you! Please contact us with any questions by using the button below or calling 601-591-5000.